Here is a picture of two small water pumps at work, drawing water from waters of Wai river, near the dam. The photograph has been taken in semi-rural Maharashtra, in India. 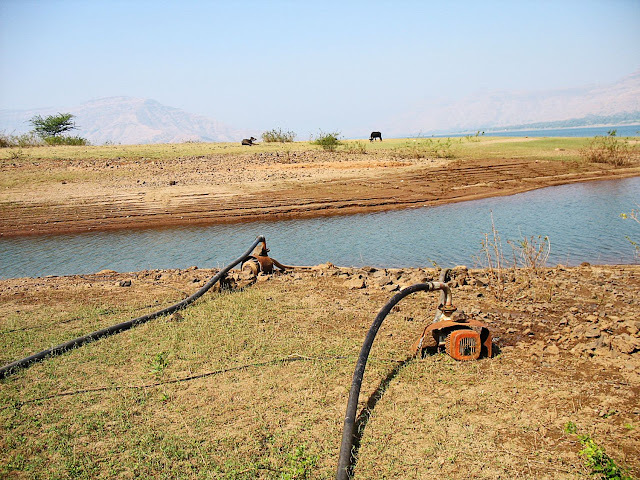 The pumps have been outfitted on the river bed and some cattle can be seen in the background grazing on the grass on the river bed.